in New Rochelle, NY and finished my degree at Michigan State University playing for their ACHA DII program. As a coach I have coached national championship teams at both the ACHA DI and ACHA DII level at Oakland University; I am now the head coach of the University of Arizona ACHA DI program. At the NCAA level I had the unique opportunity to work under former Western Michigan Head Coach Jeff Blashill when I served as an assistant coach and the Director of Video Operations for the Bronco Hockey program. I feel these experiences offer me a unique perspective to comment on the tremendous growth and the quality hockey being played at the American Collegiate Hockey Association Division I level. Over the last five to ten years I can attribute the raise of ACHA DI hockey to a few different factors. First, this is especially true of my recruiting at the University of Arizona, I am finding more and more potential student athletes want to attend school at a “big” university. Student athletes like the idea of being part of a campus that has major college football and basketball programs, and can see their university represented nationally on television on fall Saturday afternoons. The benefits of attending large universities weigh as heavy factors in many potential student athletes’ minds, and we have had success in recruiting student athletes to UofA because of this. 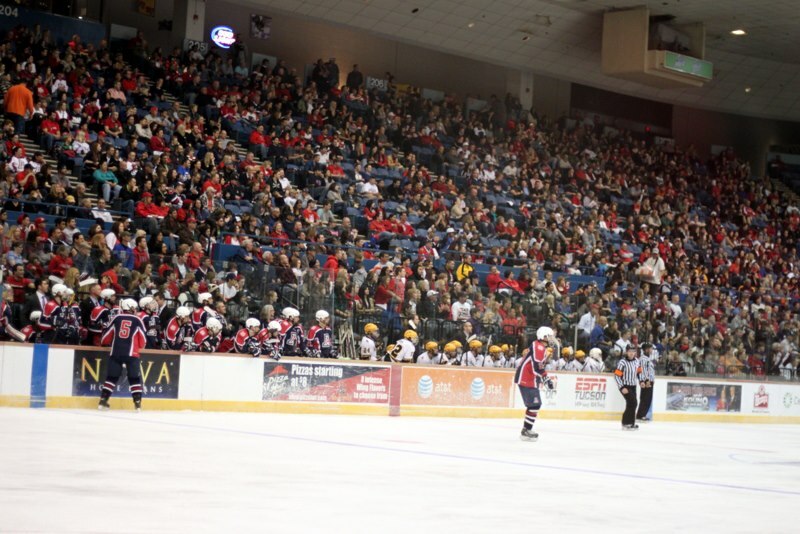 Another factor is the quality of the college hockey experience a student is receiving, and the strong university support of ACHA Division I programs. This was not always the case with ACHA hockey. Many programs are being fully supported through their university’s Campus Recreation divisions, or even others are full members of their athletic departments. The college hockey experience at schools like Arizona State, Oklahoma, Ohio University , Arizona, and Iowa State (and many others) will rival those experiences that players receive at NCAA Division I programs. 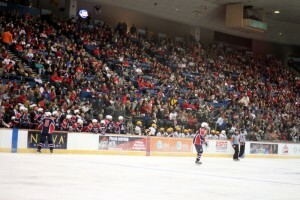 Programs at the ACHA level are flying to away games, have large professional locker rooms and are playing in front of upwards of 4000-5000 fans at some venues. These are important factors that potential student athletes weigh when making a decision on where they will earn a degree. A final factor I have seen change over the last ten years is the level of player competing in ACHA Division I hockey. Early on in my coaching career there was not nearly the amount of quality teams and players in the league. I attribute the raise in talent to the factors mentioned above, but also to the ACHA coaches. Coaches’ are now on the road actively recruiting players to their ACHA programs, growing the competition level while bringing in players with experience in the USHL, BCHL, NAHL and EJHL. ACHA rosters now look much like any NCAA roster. In fact, this growth has seen a rise in upsets of ACHA opponents over NCAA opponents. Most recently, ACHA Arizona State University upended NCAA DI Penn State last season, and most knowledgeable hockey insiders would not consider a quality ACHA DI team beating an NCAA DIII team an upset anymore. The good news for college hockey fans is that the growth of the ACHA has established creditable, quality college hockey programs at universities that might not otherwise support college hockey. It is just the tip of the iceberg for the ACHA; I believe the best is still yet to come. ~Sean Hogan you can follow Coach Hogan @coach_hogan. Views are strictly my own.